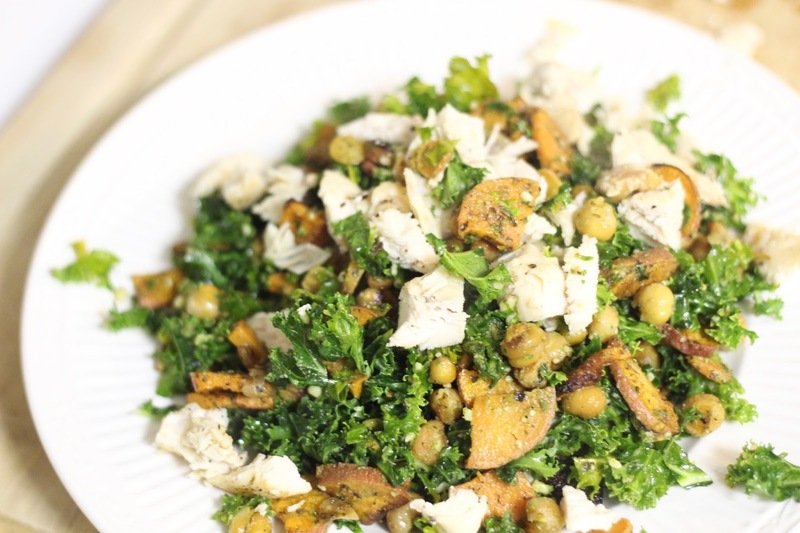 I'm a big fan of salads and lately I've been drawn to kale as the base because (1) it's super healthy and (2) it's super sturdy, which means that I can literally make an entire salad hours in advance, including tossing it with dressing, and it will hold up till dinnertime. It will even hold up for leftovers the next day and still taste amazing. No wilty lettuce here! I love that this recipe uses hearty fillings like chick peas and sweet potatoes so I'm not left feeling hungry after the meal. With some chicken, this is a great salad for dinner. Preheat oven to 425 degrees. In a large bowl, combine chopped potato, chopped carrots & chick peas. Toss with olive oil, salt, pepper, parsley, basil, garlic powder, and thyme. Transfer to a baking sheet and bake for 30 minutes. Let cool. While vegetables are baking, prepare chicken. In a sauté pan, heat two tablespoons olive oil. Sprinkle two chicken breasts with garlic powder and lemon pepper. Sauté for 8 minutes on each side, keeping the lid on pan to lock in moisture. Chop. 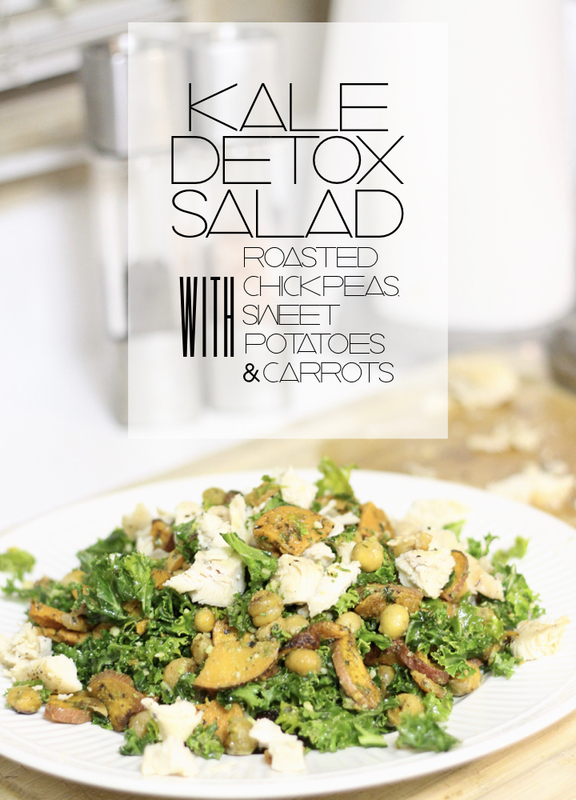 Chop kale into small ribbons and transfer to a large salad bowl. Massage the kale for 1-2 minutes and add in pesto. Mix until evenly covered. Add in vegetable, chicken, and (if using) brown rice. If using top with sesame seeds. Enjoy!